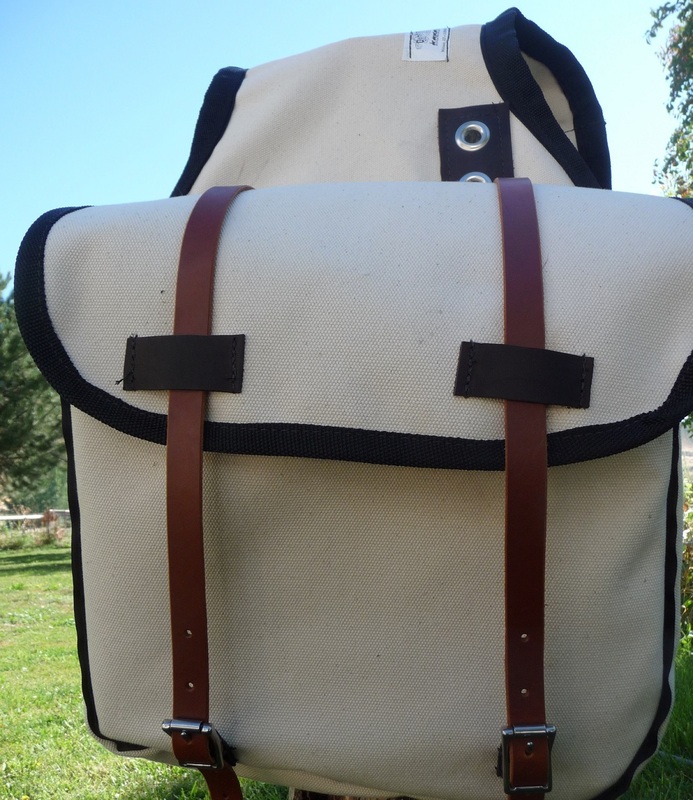 We improved the traditional Canvas Saddle Bag. The Canvas is a heavy duty #4, 18 oz. weight. We use stainless steel 3/4" roller buckles & 1" D-rings. All edges are lined before we sew them together to prevent the material from ripping out. The 3/4" leather straps are extra long. 4 grommet holes are in the center and reinforced with leather.